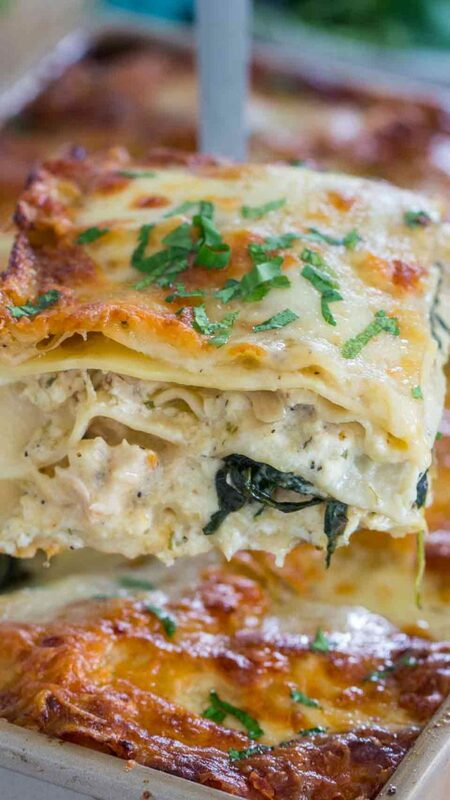 Chicken Alfredo Lasagna made with chicken breast, parmesan, Alfredo sauce and mozzarella cheese is delicious and rich. 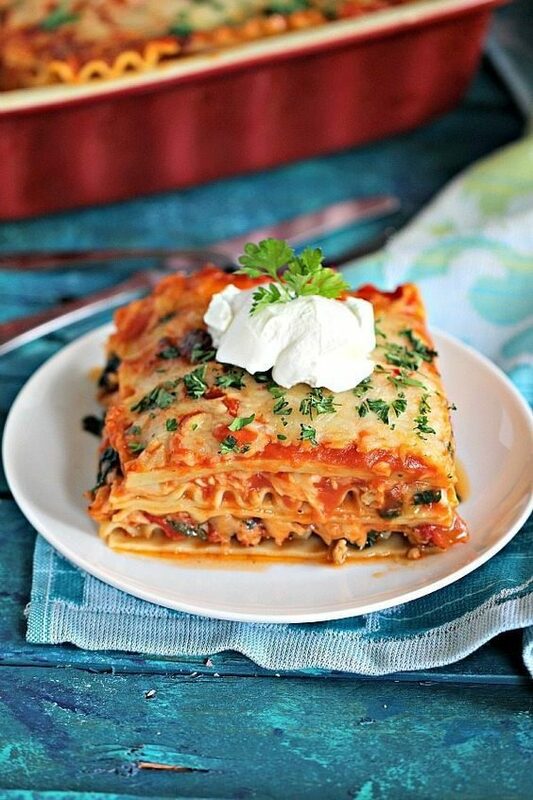 A cheesy and hearty lasagna your family will absolutely love! This lasagna is loaded with cheese, and is perfect for a hearty dinner that everyone will enjoy. Since I love Alfredo sauce so much, like in Easy One Pot Fettuccini Alfredo, I decided to incorporate the mix into a lasagna, and the result did not disappoint. Pin it to your CASSEROLES BOARD to SAVE it for later! 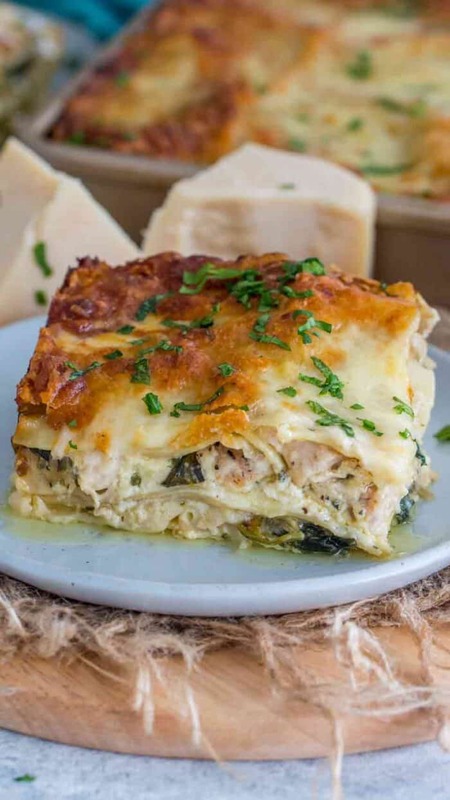 The homemade Alfredo sauce made with heavy cream and cheese, combined with tender chicken breast, spinach and mozzarella cheese, takes this lasagna to a new level. It’s classy, yet easy to make and will feed a large family perfectly. Also, the leftovers are delicious and can be easily reheated. The lasagna can be prepared ahead of time and stored in the fridge before baking. The next day, all you have to do is put it in the oven for 30 minutes. Use quality chicken breast, preferable organic. This will give the lasagna a nice flavor. Also, you can use lean ground chicken or you can substitute it with ground turkey or beef. To save time, you can also use rotisserie chicken meat or leftover turkey meat. 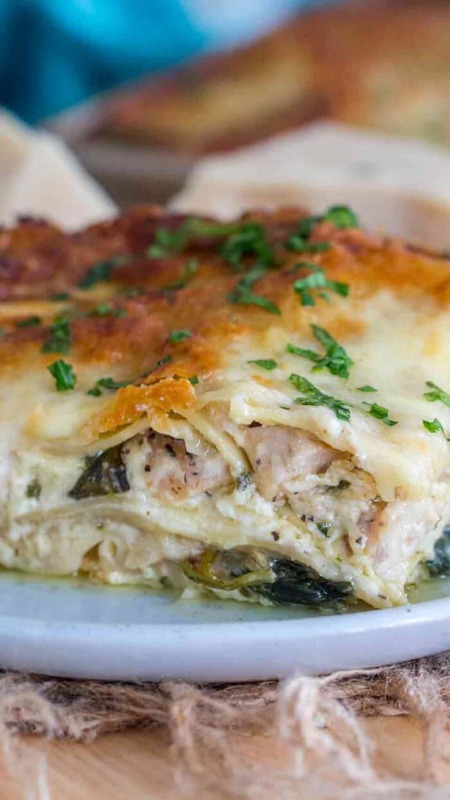 To make this Chicken Alfredo Lasagna, you can make your own homemade Alfredo Sauce or use store-bought. I used fresh garlic. Try to avoid canned garlic, since the flavor will not be the same. I like to use full fat mozzarella cheese. Similarly, make sure you use “real” cheese. If you are a cheese lover, you can use extra parmesan and mozzarella cheese in the recipe. Do you Have to Cook Lasagna Sheets First? The lasagna sheets are cooked before using in the dish. Soak the lasagna sheets in a single layer in boiling water for about 5 mins. Drain well before using in lasagna. How do you Slice a Lasagna? First, let the lasagna cool for 30 minutes, before slicing. Use a very sharp knife to slice. Make sure you slice completely through the bottom layer. Using a spatula, lift the cut slice and place it on a dinner plate. You can find the directions for this recipe by clicking here. To freeze the baked lasagna, first let it fully cool then wrap it tightly with plastic wrap. You can then wrap it in aluminum foil and freeze for up to 3 months. Before you reheat the lasagna, let it thaw overnight in the fridge, add additional cheese before baking and place it on the top rack in a 350˚F oven for about 30 mins. To freeze the unbaked lasagna, after you assemble it, wrap it tightly with plastic wrap, and then wrap it in aluminum foil and freeze for up to 3 months. Before you bake the lasagna, allow it to thaw completely by refrigerating overnight. Place it on the middle rack in a 350˚F oven for about 30 mins – 40 mins. 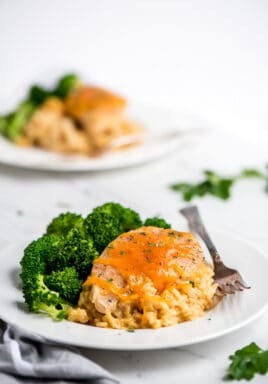 Chicken Broccoli Rice Casserole – Easy! Grease a 9x13 inch baking dish with cooking spray and set aside. Boil noodles per package directions. Set aside. Season the chicken breast with salt, pepper and thyme on each side. Place a large skillet or cast iron pan over medium heat and once warm, add 3 tablespoons of olive oil. 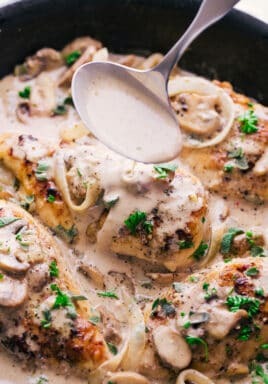 Once the oil is hot, add the chicken breasts to the skillet and cook for 5 minutes on each side, or until golden brown and no longer pink in the center. If needed cook in batches. Transfer cooked chicken to a plate and cover with foil. Let stand while you work on the other layers. 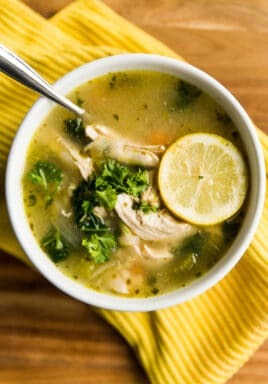 Add two tablespoons of olive oil to the skillet in which you cooked the chicken. Add the oil only if needed, if there is oil left in the skillet, skip this step. Add diced onion and garlic, cook stirring for 1 minute, until the onion gets softer. Add the spinach, Italian seasoning, salt and pepper. Stir and cook for a few minutes, until the spinach is wilted. Combine ricotta cheese, mozzarella cheese, beaten eggs, parsley, salt and pepper in a medium bowl and stir with a spatula until well combined. Add 1/2 cup of the ricotta cheese mixture to the bottom of the prepared pan. Spread evenly. Add on top of the ricotta mixture 5 cooked lasagna noodles, so they cover the bottom of the pan. You may have to add 5 vertically and 1 horizontally. Cover the lasagna noodles with 1/2 of the remaining ricotta cheese mixture. Spread evenly. 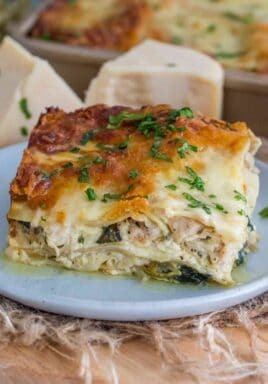 Slice the chicken into small cubes, and add half of the chicken on top of the ricotta cheese layer. Distribute evenly over the surface of the lasagna. Scoop evenly half of the spinach mixture over the chicken. Drizzle 2 cups of Alfredo sauce on top. Distribute evenly. Using a rubber spatula, level the top layer. 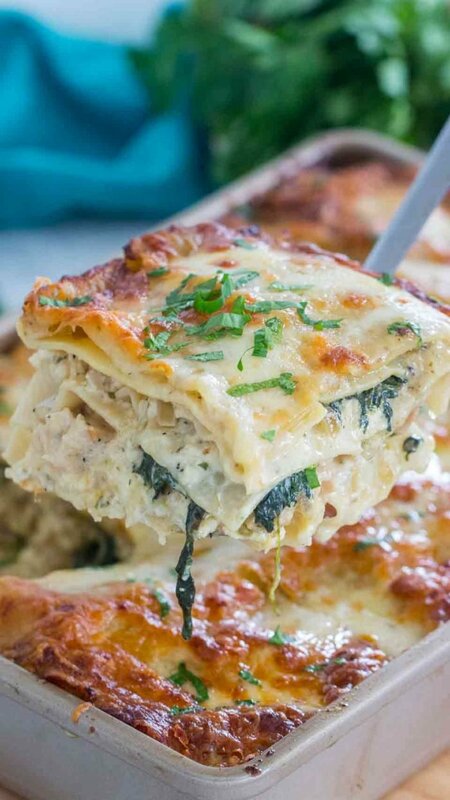 Add another layer of 6 cooked lasagna noodles, followed by all the remaining ricotta mixture, remaining chicken, remaining spinach mixture and 2 cups Alfredo Sauce. Level the top with a spatula. Add final layer of lasagna noodles. Top with 1 cup of Alfredo sauce and spread it evenly over the surface of the noodles. Sprinkle one cup of mozzarella cheese, distribute evenly over the surface. Bake lasagna in the preheated oven for 30-40 minutes or until the cheese is bubbly and golden brown. Remove from oven, let it stand for 20-30 minutes before slicing. Garnish with chopped fresh parsley before serving. Don’t ever try to print this recipe . I just printed 25 pages in color 19 of which were pictures and ads that was unnecessary waste of paper and ink!! If I had been in the same room as the printer I would have stopped it! Omg!! Hoping this recipe tastes as good as it sounds to help make the wasted paper and ink worth it! Oh no Robin! In the recipe card, right under the image of the recipe on the right-hand side, you’ll see a Print button. Using this will print only the recipe card and not the entire post. Hope that helps! 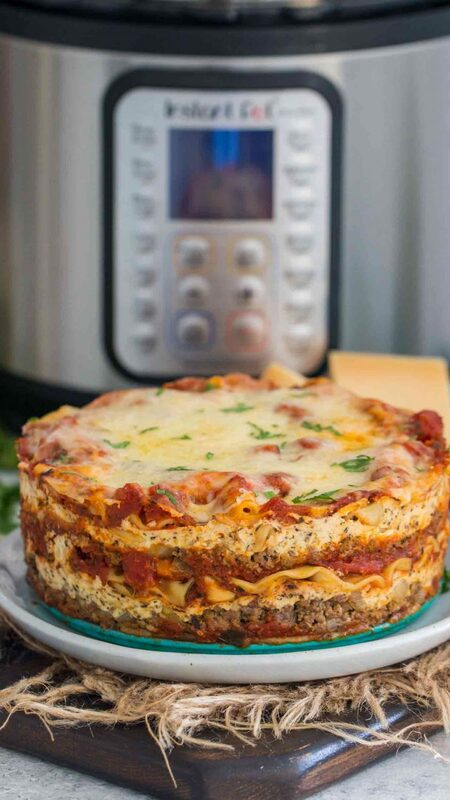 Can I use the no-bake lasagna noodles? Recipe looks delicious. Look forward to making it. I have only tried the recipe as written so can’t say for sure. I’m a little confused by the lasagna noodles. Are you using traditional noodles and doubling each layer? I can only fit 3 traditional noodles in one layer. Or maybe you are using those small, flat noodles I have also seen. I boiled the whole box thinking I would be doing many layers (without looking ahead in the recipe) but only used 9 in the 3 layers the recipe called for. I’m so happy to hear that you love the lasagna! I use 5-6 standard noodles for each layer. It can also depend on the size and shape of your pan.